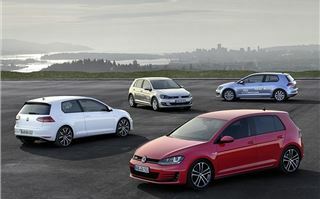 Just a month after launching the Golf GTI, Volkswagen has launched the GTD - which wears similar styling to its petrol-powered counterpart, but with a much more frugal diesel engine under the bonnet. 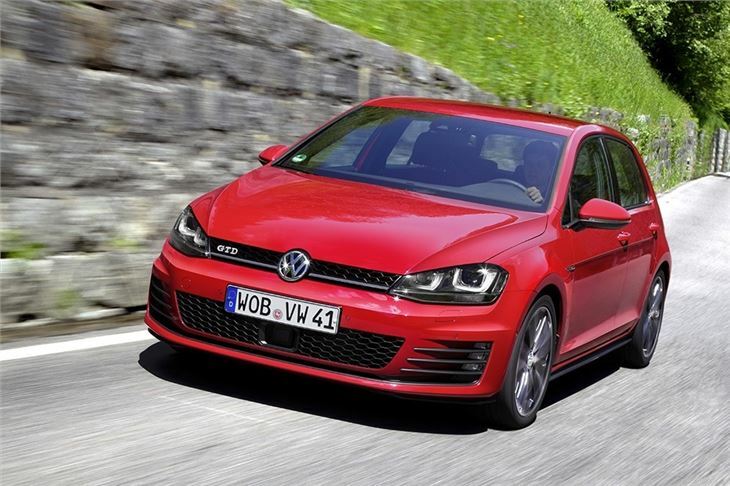 Volkswagen is keen to point out the comparisons to the GTI but it calls the GTD a ‘long-distance express vehicle’ rather than a sports car. You wouldn’t tell by looking at it, though. 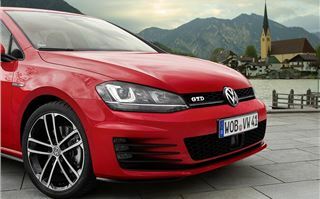 Externally it looks very much like the GTI, with a honeycomb grille at the front, smoked light lenses at the rear and big air vents. 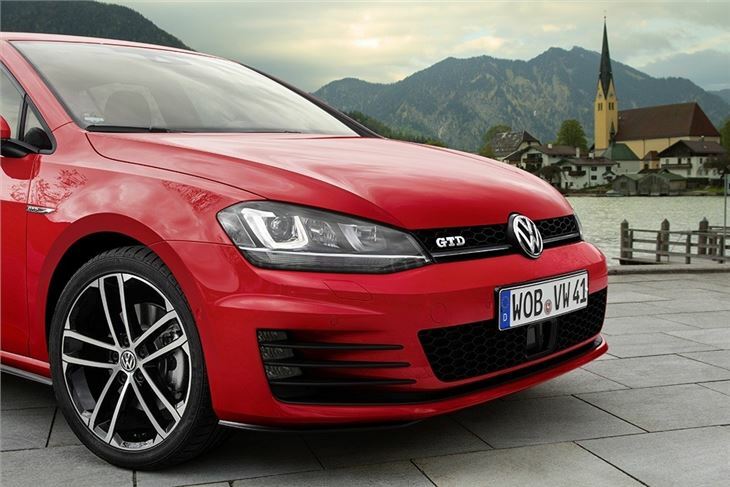 The initiated will notice a lack of red trim detail at the front, though – it’s chrome on the GTD and the wheels are smaller at 17-inches. 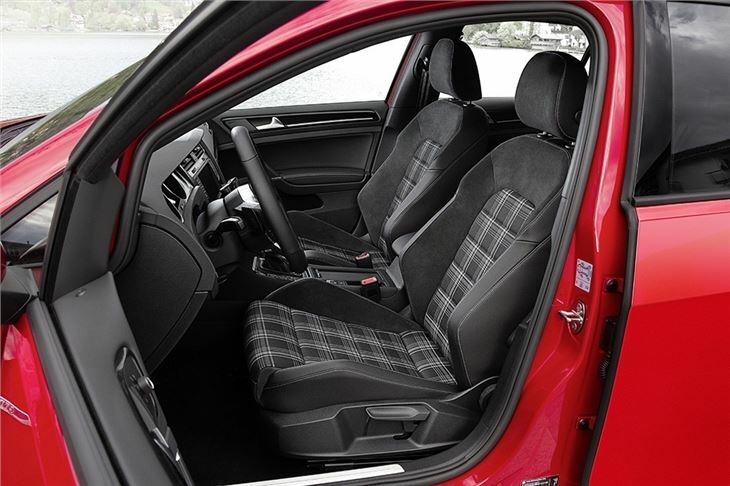 The cabin is as similarly GTI-like as the exterior. 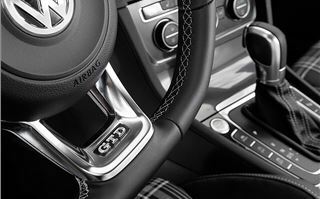 The steering wheel has a flat bottom and the gear lever on the manual model has a black golf ball finisher on the top. 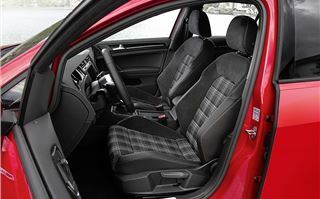 There’s even tartan seat trim – a typical GTI feature – albeit in a more restrained shade than the red seen on the 220PS petrol car. Equally restrained is the sound – a push of the start button will reveal a subdued engine note rather than a throaty growl. That’s not a bad thing, though, because it’s one of the most refined diesels available. To detect even a hint of clatter you need to open the windows, otherwise it’s hushed as can be. 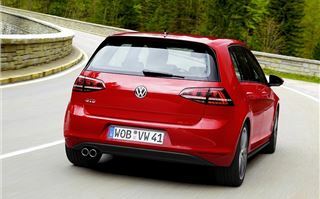 Volkswagen has engineered a sound enhancer into the GTD as an option, though, so when you let the revs build you hear all of the good noise and none of the bad – it sounds really rather good, almost like a petrol engine. Even without this specified the GTD sounds great for a diesel-burner. A 0-62mph sprint takes 7.5 seconds – quick but hardly hot-hatch worrying. There is, however, a hugely usable 380Nm of torque available from 1750-3250rpm. 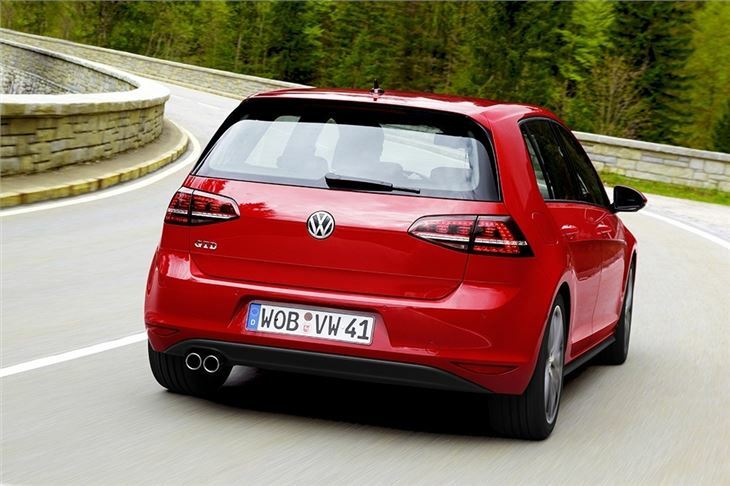 It makes overtaking a matter of throttle position rather than the position of the slick gear lever - you can just push harder on the accelerator pedal and the GTD surges forward effortlessly, which is excellent for motorway driving. It’s comfortable, too. Seats are supportive and the suspension is compliant enough to iron out sharp, uncomfortable bumps quietly without making the road feel millpond smooth and numb – something that’s useful when you get to an enjoyable B-road. 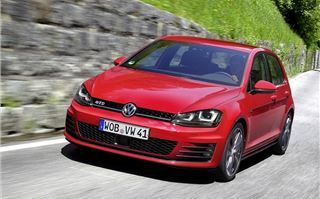 Another touch that helps on a fun stretch is XDS+, a tweaked version of the electronic differential introduced in the last generation of Golf GTI, along with faster steering than the last GTD. The result is a tremendously composed car that will take corners at great speed – but without the same excitement and dynamism you’d get from its petrol-powered sibling. 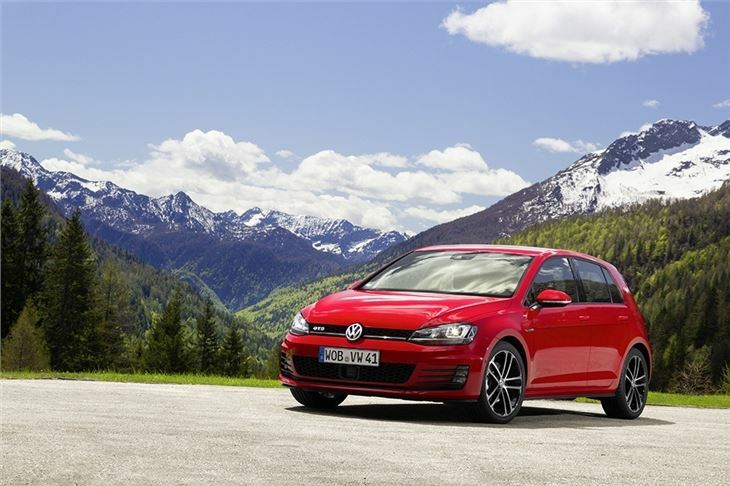 Aside from the sporty styling and trim details the Golf GTD has all the quality and practicality of its lesser stablemates. There’s room for five, a good-sized boot and a beautifully presented dashboard. The same enormous range of options is offered too, including active assistance gear like adaptive cruise control and collision mitigating braking. Among the most interesting options is the Car Net infotainment system, which adds Google mapping to the sat nav. This shows satellite images of the roads you’re travelling on and can even be zoomed in to show Google Street View, which makes finding landmarks and addresses incredibly easy – providing Google is up to date with its information. Volkswagen’s DSG dual-clutch automatic is available and works as well as in other models, changing smoothly through the gears. 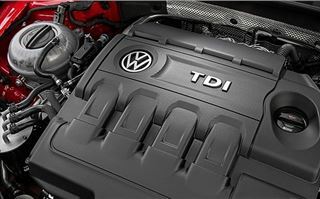 It does have an adverse affect on fuel economy and emissions, though not hugely so – emissions are pushed up to 119g/km an fuel economy drops by around 5mpg. Specifying a DSG gearbox costs £1400. Dynamic Chassis Control (DCC) is also available, which changes the suspension profile depending on the tastes of the driver – there are Comfort, Normal, Sport and Custom settings. Keen drivers might want it but the standard chassis is fine for the majority of situations and road conditions. In fact there isn’t really an environment in which the Golf GTD doesn’t cope well. It’s as at home on the motorway as it is trundling around town at low speeds or handling twisting countryside routes. If you’re an extremely enthusiastic driver you might find it lacking a little in the dynamics department – but for most it’s a great all-rounder. It’s easy to forgive any dynamic shortfalls too, because – thanks to 109g/km emissions – first year VED is free and it’s just £30 a year afterward. 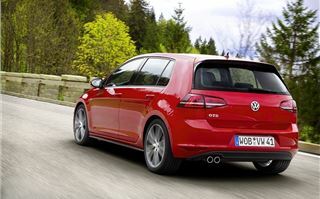 Couple that to official fuel economy of 67.3mpg and the Golf GTD seems like a bargain – it’s fast, practical and capable, with just enough fun when you want it. 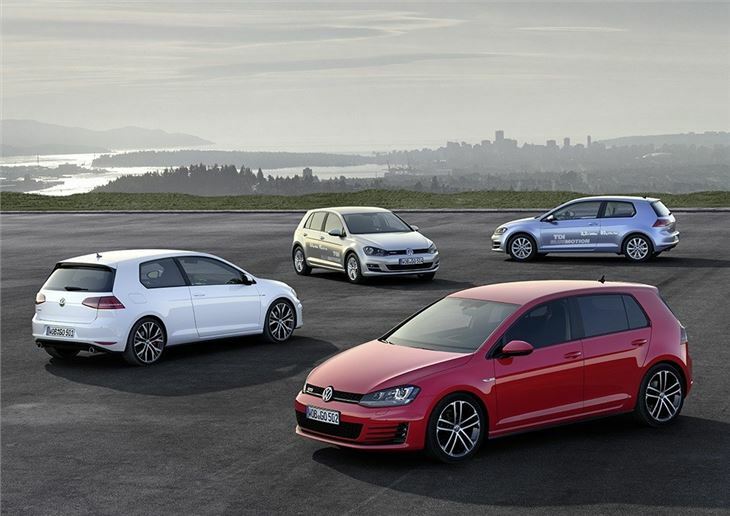 You also get all the prestige of the GTI styling both inside and out. 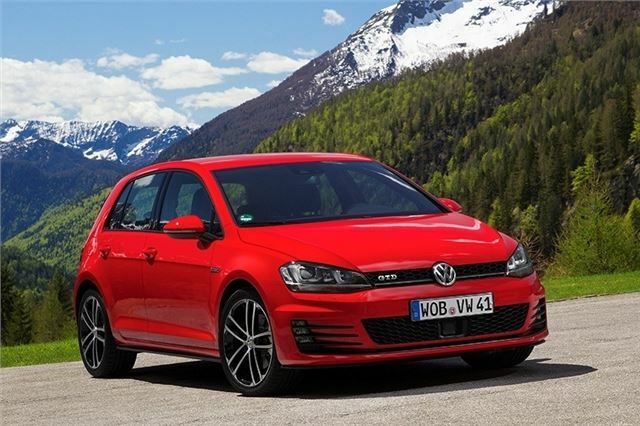 The Golf GTD's merit is in the way it manages to blend the attributes that make a car fun with those that make for a sensible buy. Sure, some of the exciting edge is missing, but what it loses in enjoyment it makes up for in low running costs, which makes it a convincing package.